Between the truck driver shortage and the hours of service (HOS) restrictions placed on drivers, it’s important to make the most of the time that your driver is on the clock. One key way to do this is to eliminate unnecessary driver down time. And a good way to do that is through a drop trailer program – keeping drivers on the move while giving your operation time to load and/or unload trailers on a schedule that works for you. In this article, we’ll take a closer look at drop trailers, as well as some additional efficiency-boosting local transportation services. A drop trailer program (or “drop trailer agreement”) works like this: a third-party logistics provider (3PL) or trucking company delivers a trailer – either empty or full – to your facility but leaves it there for you instead of bringing it to the loading dock for live loading or unloading. You are then able to fill or empty the trailer on your schedule. The 3PL simply comes back and picks up the trailer after you’ve finished. Going a step further, many 3PLs can also perform a “drop and hook.” With this process, the 3PL can drop off an empty trailer and subsequently pick up a full trailer you’ve loaded. Or, vice versa, it can drop off a full trailer and pick up an empty one that you’ve unloaded. This enables your operation to run quickly and eliminate down time. Drop trailer programs are beneficial for shippers and retailers for multiple reasons. Primarily, they allow you to allocate your space and resources to loading or unloading the trailer at the time that works best for you and your associates. There’s no pressure to unload or load immediately as the driver stands watching. This is also beneficial to the 3PL as it allows the driver to be on his or her way quickly without using up valuable HOS time waiting at the loading area. An additional benefit is the cost – or lack thereof – involving drop trailers. At Kanban and other 3PLs, you will not be charged for the trailer if it’s at your facility for less than two days. There is a fee for pick up and delivery, but the meter is not running for the time the trailer sits at your facility (again, up to two days). Of course, drop trailers aren’t the only way to boost driver efficiency. Two additional productivity-saving transportation services we offer at Kanban include cross docking and rail transloading. 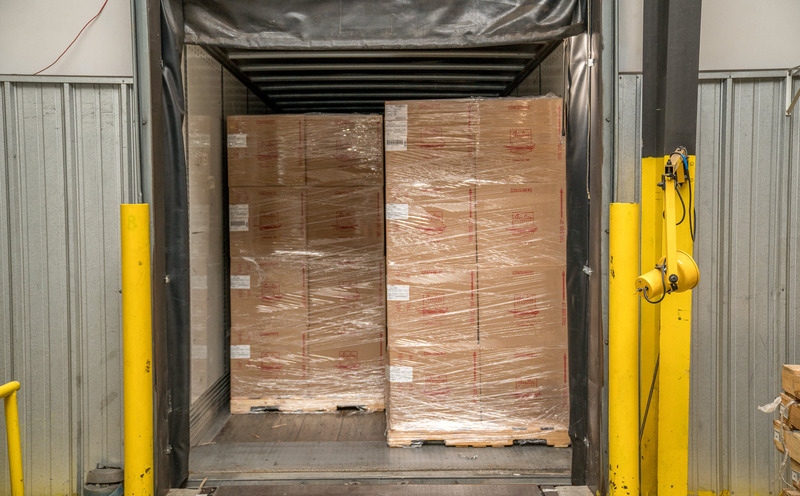 Cross docking combines short-term (sometimes very short-term) warehousing and local delivery, allowing you to keep your products (and your drivers) in motion while skipping the costs of long-term warehousing or vendor penalties. For instance, if your drivers are early or late for their appointment windows at QVC or other Eastern NC destinations, they can bring their loads to one of our cross dock facilities. We’ll store your products temporarily and deliver them at the designated appointment times – allowing your drivers to simply drop off and skip the wait altogether. Rail transloading allows you to utilize OTR services more efficiently as your products travel by rail for most of their journey – leaving only the last mile to drivers. At Kanban’s Rocky Mount facility, we have the ability to load and unload both boxcars and center-beam cars. Boxcars can be unloaded directly into our warehouse and prepared for final delivery. Center-beam cars are unloaded onto flatbed trucks in our transload yard and can then be brought inside the warehouse or delivered straightaway. At Kanban Logistics, we work with you to maximize the efficiency of your supply chain. Part of that involves maximizing the efficiency of our transportation services to drive down both costs and time. So, whether it’s a drop trailer program, cross docking, transloading, or any of our other transportation services, you can depend on Kanban drivers that are knowledgeable about logistics best practices as well as your operation’s requirements. To learn more about Kanban’s transportation services, contact us today. Can your 3PL’s warehouse management services handle a recall? Join our email list to receive new posts in your inbox. We will never spam you. Opt out anytime. © Kanban Logistics. All Rights Reserved.